You might take it for granted when you're watching a sci-fi movie or reading up on a NASA report, but sending data signals through deep space is an incredibly complex business - it also happens to be essential for astronauts and satellites alike, once they leave Earth. As our plans for space get every more ambitious, we're going to need networks that traverse vast distances and can be relied upon to stay solid even as planets turn and orbit and move through the universe. Here are the best ideas on the drawing board right now. The internet we know today is based on some solid, high-speed cabling between data centres and urban areas - you rarely get breaks in the traffic, even if Facebook and Google do occasionally go down. Sending messages between spaceships and planets is going to be much different, and will need new protocols and standards to cope. Data will have to be saved and stored at spots en route before completing its journey, as the various nodes won't always be directly in line with each other. Even when there is a connection - a direct line of sight - data will be limited by the speed of light. A new network protocol is going to have to deal with delays of hours or even weeks, and intermittent connections, to work properly. SpaceX, as you would expect from Elon Musk's company, is busy investigating potential routes forward. For a start, it wants to create a network of satellites around the Earth, used to bounce signals to remote parts of the world that don't have wired internet access. The scheme comprises some 4,425 satellites 700 miles above the ground, all working together to make sure you're always in sight of a satellite no matter where you are on Earth. And SpaceX isn't the only company working on this type of technology either. Ultimately SpaceX wants to use the satellites orbiting around Earth to beam communications all the way to Mars - a planet that the company is particularly interested in exploring. Once we reach the Red Planet, we will of course need Wi-Fi. One alternative proposal put forward by Duncan Forgan from the University of St Andrews is the idea of using the Sun as a giant flashlight, passing messages deep into the cosmos by manipulating the Sun's light as it passes our planet. If it sounds complicated, it is, and it could take some 300,000 years to hook up the whole of the Milky Way. Not only that, we would need the help of other planets and spaceships to pass the message on, so this is very much one for the future - once we're well into the business of colonising space. On the plus side, the network wouldn't have any problems with power, because it would all be coming from the Sun and other stars, set to burn for a few billion more years yet. As you would expect, NASA is on the case with the space internet problem as well, as it needs to be if it wants to ensure its probes and missions can send messages back to base as and when needed. 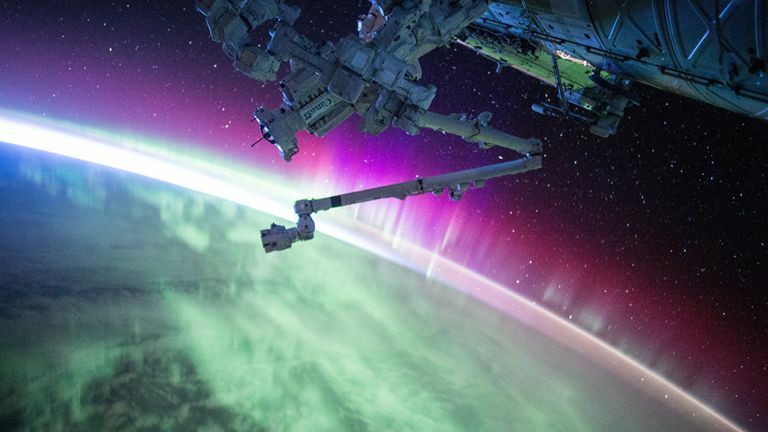 Last year Delay/Disruption Tolerant Networking or DTN was installed on the International Space Station, and as the name suggests, it's the basis of a communications system designed to better handle delays and disruptions. It doesn't get ruffled by a change in orbit or a planet suddenly blocking the lines of communications. It uses a "store and forward" process, where data is split into chunks and then recompiled - even if those chunks take a long time to all arrive, and even if they arrive in the wrong order. Ultimately NASA wants to see multiple nodes, from spaceships to satellites to probes, kitted out with this technology. All of this is still in the very early stages, and it's going to be a while yet before we need a space internet to be connected - but it's coming. The Mars 2022 orbiter is going to carry some state-of-the-art laser communications for communicating with Earth. Eventually, laser data communications could solve our long-distance internet problem - with optical telescopes acting as nodes to boost and redirect the laser signals where needed, they could potentially travel millions of miles. Ultimately, we're going to need a local copy of the internet on every spaceship and planet, rather than beam everything from Earth, but interplanetary communication will still be possible - you'll just have to wait a while for it.